7 Day Fitness is an online weight loss community, created by Wesley Virgin, a trainer and motivation specialist. The 7 Day Fitness Fat Loss Program includes a 30-day “boot camp” fitness program offered in video format. It also provides a wide choice of meal plans to a range of dietary preferences and health objectives. Virgin outlines his keys to success, which he considers to be essential for accomplishing your fitness goals. Enjoy the journey as you lose weight, tone and build your muscles. It may take time to achieve your goal but it is a fun process. Give your best every day. Focus on the reasons why becoming healthy and fit is important to you. Don’t let anything stand in your way. There will be challenges and distractions but you need to be impervious to outside influences. The 7 Day Fitness Fat Loss Program offers meal plans to suit a wide range of preferences and requirements. Each meal plan lays out exactly what you need to eat. But there is plenty of flexibility for you to adjust the meals according to your tastes. There is also the option to receive a custom diet plan created by a nutritionist. Virgin includes some of his favorite recipes that are simple and easy to prepare but also delicious and creative. Recipes are also contributed by community members. Whole wheat bread, bran cereal, granola, oatmeal, quinoa, beef, tuna, turkey, chicken, salmon, shrimp, rice cakes, eggs, yogurt, cheese, almonds, peanut butter, broccoli, lettuce, tomato, green beans, sweet potatoes, tangerines, blueberries, strawberries, apples, pears, dark chocolate, herbal tea. The following is an example of the “Beach Body” meal plan. 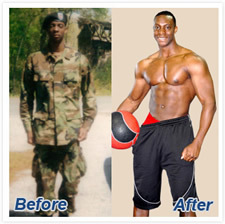 The 7 Day Fitness Fat Loss Program has a section called “Boot Camp” with beginner and advanced programs. The first 30-day boot camp that you start will help you lose at least ten pounds if done properly. You will work out for about twenty minutes each day by following along with a video demonstration. You can also design your own weekly workout to create a customized fitness program. You simply choose different areas of your body you want to work on and plan the days you will workout. The 7 Day Fitness Fat Loss Program has a one time fee for lifetime membership to the program is $47, which comes with a 60 day money back guarantee. Learn more or oder here. Includes a 30-day workout plan with daily videos for beginners and advanced. Offers extra workout programs for abs, booty, thighs, yoga and stretching. Contains over a hundred meal plans to choose from for different calorie needs and dietary preferences. Provides the option for a customized meal plan created by a nutritionist. A variety of healthy and simple recipes are available. Online community can serve as a support system to enhance motivation and accountability. 7 Day Fitness Fat Loss Program offers a free 7-day trial. Some dieters may prefer to have more guidance regarding the best diet and exercises for their personal situation. The beginner workouts are too strenuous for those who are not physically fit or have joint problems. The videos are not of the highest quality production. Some of the meal plans do not provide calorie information. Website can be difficult to navigate. More expensive than buying a diet book. 7 Day Fitness Fat Loss Program is an online weight loss plan that offers a selection of exercise videos and meal plans. This program will appeal to dieters who like “boot camp” style workshops. It also gives you the ability to customize and adjust your diet to suit your own unique needs and preferences.